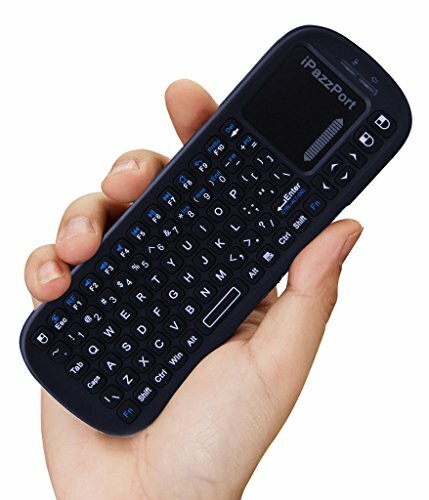 This is a 2.4GHz Mini Wireless QWERTY keyboard with TouchPad combo, USB interface available for operate PC wireless. Slide mouse cursor and write on screen ,emphasize words and objects just by using this wireless mini keyboard and mouse with touchpad. Available for Raspberry pi 3 , Android tv box , Smart TV , HTPC etc . 92 keys,2.4GHz wireless Keyboard with Touchpad combo. Built-in high sensitive touchpad, use it with the right/left mouse keys, select what you want, copy and paste. Auto sleep and auto wake mode, after 3 minutes of non-use to conserve battery power. Press any keys to wake up. The handheld design is easy to carry with your raspberry pi. Support AAA battery, it's convenient to change new one to last for a long time. Perfect for Android/Google Smart TV Box, Raspberry Pi, HTPC/IPTV, etc. Battery Type: AAA battery(Not included in package).